Dancin' Gators is the ONLY non-audition group at the University of Florida. We pride ourselves on the diversity of the levels and genres our group permits. We accept both male and female dancers, from the most experienced to those who have never danced before. Dancin’ Gators also offers a variety of dance styles. From the classics like Jazz, Ballet and Tap, to the popular styles of Hip-Hop, Salsa and Step, we have also branched out to include styles like Irish, Indian, Kick line and Broadway. 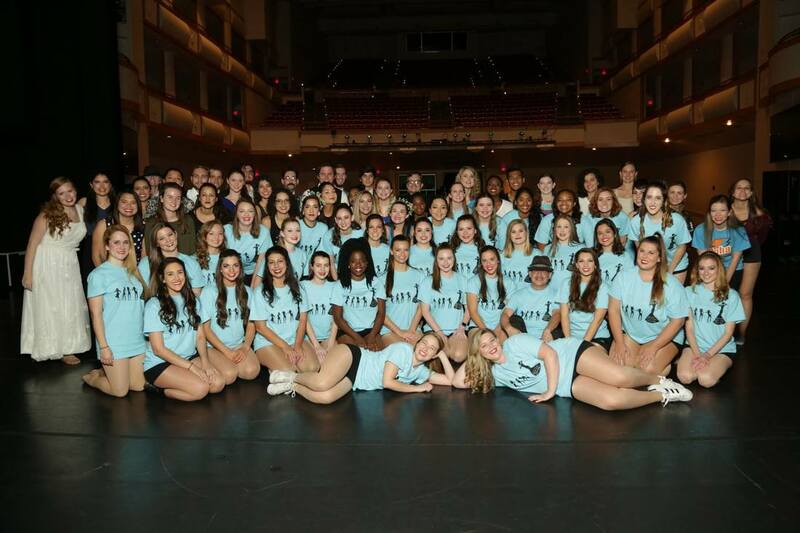 Dancin’ Gators was formed in the spring of 2003 in an effort to bring together dancers of all levels and styles. Another unique element of Dancin’ Gators is how the organization operates. Dancin’ Gators puts on one showcase at the end of each semester. Our Head Choreographer is responsible for the closing dance routine; however, it’s up to everyone else to create the other routines. At the beginning of the semester we hold a Choreographer’s Showcase, so that anyone interested in choreographing a routine can show a portion of it to the whole group, at which time all group members have the opportunity to sign up for whichever dances they would like to participate in. Each dancer can pick his/her own level of commitment. You can be in as many or as few as you like. Closer is for the whole company, designed to bring together all levels and accommodate all types of dancers.